It may be unpleasant to know all the specific details of your illness and how it will affect your lifestyle, but knowing exactly what you’re dealing with is sure to help you understand and cope with the situation a bit more easily. Ask your doctor all about your diagnosis: what kind of cancer are you up against? Can it be treated? How will it affect your body? Getting very familiar with your health condition will help prepare you for what’s to come as you begin to cope with your diagnosis. Living with a cancer diagnosis certainly won’t feel “normal” to you, but that’s okay–you shouldn’t force a sense of normalcy anyway. Instead, do what you can to remind yourself that you’re still the same person as before: dive into your favorite hobbies, hang out with friends, and keep up with your professional life the best you can. And when you do feel a sense of abnormality creeping up on you, do your best to accept it and continue on with your regular routine. Isolating yourself from your loved ones might be your first instinct, but being honest and open with them will help you and everyone else cope with the situation better. Though it might be difficult to communicate with your family about your health, don’t underestimate the value of their love and support during this challenging time. Likewise, don’t be afraid to let them help you out from time to time if they insist on delivering home-cooked meals or running errands for you. Another way to avoid isolating yourself is to spend time with other people living with cancer. Especially if you find it difficult to speak openly with your family about your diagnosis, you’ll find that talking about it with people who know what you’re going through is a great way to get a bit more comfortable speaking about your situation. Look for support groups in your area or consider connecting with others over the internet. You never know–you might even find lifelong friends because of it. Coping with a cancer diagnosis certainly isn’t easy, but there are ways to make it a bit less stressful. Getting the facts, sticking to your routine, and counting on loved ones will help give you the strength you need to navigate life after a cancer diagnosis. 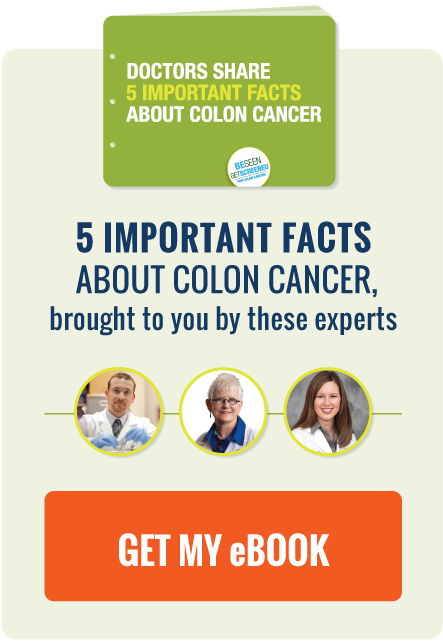 Need to learn basics about colon cancer, like who gets it, how to prevent it, etc.? Thisinfographic should help. A new study finds even low to moderate alcohol consumption can cause colon cancer. Scientists target gene mutations to fight colon cancer. Check out the research here.